When it ships this October, just like most games of this generation and the end of last, Sunset Overdrive will arrive with a Season Pass DLC offering. In fact, you can buy the Season Pass right now, without even playing the game or reading a single official opinion on it. Hooray, consumerism. The Season Pass does look interesting, though. As detailed by the folks at Xbox Wire, dropping $19.99 on the Season Pass will get you a list of things. Two campaign Game Add-ons that each deliver new locations to explore, stories to experience, and bosses to battle. Each of these Add-ons also includes new weapons, new Amps, a new Trap, new character outfits as well as new challenges and Chaos Squad* objectives! The Weapons Pack Game Add-on, which includes four deadly new weapons to augment your arsenal! Sound like a bunch of stuff worth $19.99? I'll leave that up to you. Personally, I don't buy into Season Passes these days. I need to play the game first, then see how the DLC rolls out. Any buyers? 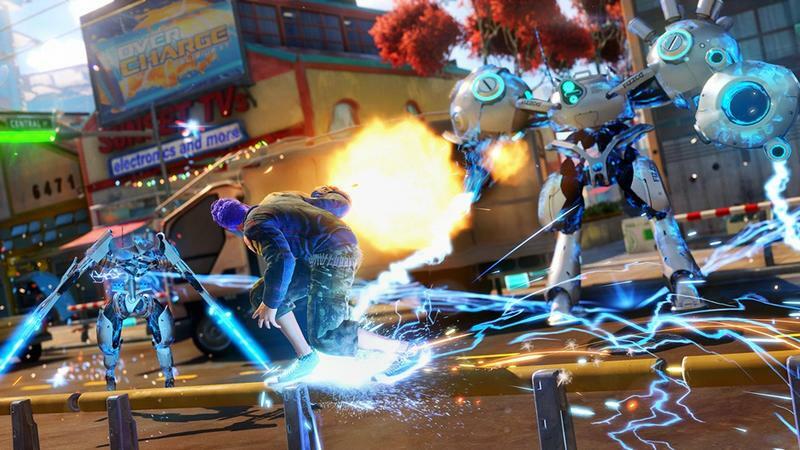 Sunset Overdrive will hit the Xbox One on Oct. 28, 2014.